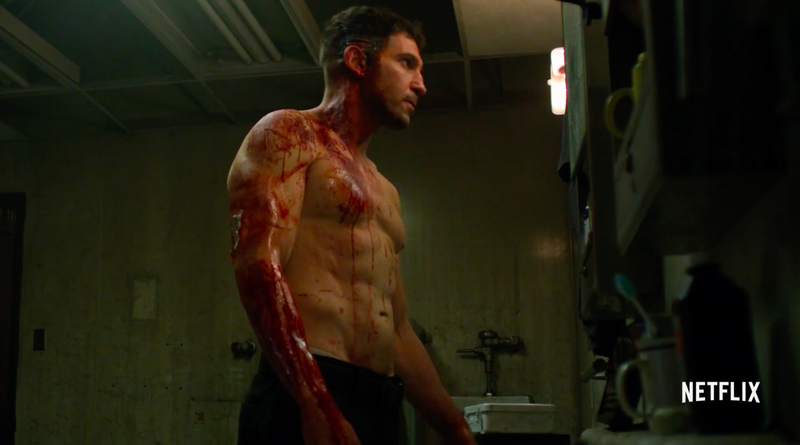 We’ve known that Netflix was working on a Punisher solo series spun off from the character’s appearance in the second season of Daredevil for some time now, but the streaming giant’s been secretive about when we can actually expect to see the show. After dropping a series of cryptic hints and messages tucked into short video snippets, we still don’t exactly know what The Punisher will start streaming online. Today, though, Netflix suddenly dropped the series’ first trailer and gave us a look at just what all to expect from Frank Castle’s first solo outing as a Marvel anti-hero. In short: there are going to be a lot of guns, blood, and explosions. To be fair, the trailer is trying very, very hard to emphasize how witnessing his family being murdered broke Frank Castle in a deep and profound way. He’s a man who’s lost his will or desire for much else other than revenge on those he believes have wronged him. It’s an ugly, dark, and somewhat understandable emotional mindset and one that, from the looks of it, is going to define The Punisher when it makes its way to Netflix sometime this year.